Nathan Duguid is a Physiotherapist and a member of our Jordan Springs team. Nathan’s first interaction with The Healthy Body Company was as a patient – in those days he was at high school at St Dominic’s College. This was when his initial curiosity of the human musculoskeletal system began. Nathan graduated from St Dominic’s College in 2013 with fantastic HSC results and was awarded an academic excellence scholarship to Western Sydney University. At WSU Nathan studied physiotherapy where he continued to develop his passion and interest in how the body works. Nathan excelled in his studies graduating with distinction from Western Sydney University with a Bachelor of Health Science/ Master of Physiotherapy. Nathan picked up some accolades along the way including membership of the UWS Aspire Leadership Program, a place on the School of Science & Health Dean’s Merit List in 2014 and invitation to join the Golden Key International Honour Society. as well as some experience involved with treating elite athletes in the Australian Touch football teams in the Masters Trans Tasman. Nathan has a wealth of experience beyond his years in understanding the demands placed on the body during sport and exercise. He has 7 years of experience in his own involvement in lifting weights and accompanying informal research and study in the area of building muscle and strength. Nathan is a Physio who practises what he preaches; you’ll find him in the gym 5-6 days per week, looking to build muscle and strength in order to enhance his health. 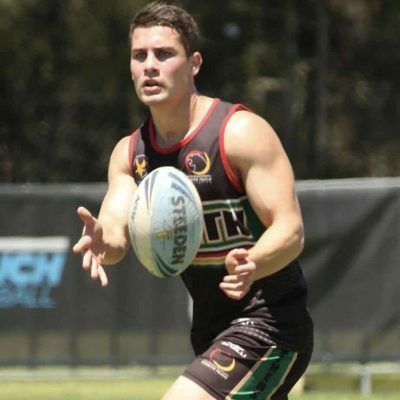 He also participates in representative level touch football for Penrith, as well as dabbling in a bit of 7th grade cricket on the weekends during summer. Nathan believes when seeing a Physio, the process should be a partnership between patient and therapist. They should work together to achieve optimal health outcomes. Nathan also has a keen interest in the latest research and evidence-base in physiotherapy, where on the way to work he will listen to physio and exercise science related podcasts and do his own independent research to ensure he stays on top of the latest developments in the field. Nathan understands that by empowering people with evidence-based knowledge, they can take ownership of their health for long-term self-management and reduce the risk of re-injury. Nathan is a member of the Australian Physiotherapy Association and Sports Medicine Australia. Nathan has also a certified Beat IT program provider for clients with diabetes. Nathan works from our Jordan Springs practice. He also provides on field support to the Brothers PJRLFC teams in the Ron Massey Cup, The Sydney Shield and the Harvey Norman Womens Competition.